Has China's modernization over the last 100 years depended on turning to the West? What new problems has growing prosperity created for China? This collection includes many classic documents as well as less accessible extracts, including a number only recently in the public domain. 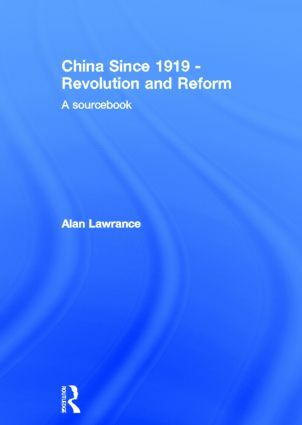 It will be an invaluable source of information for anyone interested in the modern history of China.